What is kindness as a Fruit of the Spirit? The fruits of the Spirit listed in Galatians 5:22-23 are signs of a Christian’s growth in their relationship with God. One of these fruits is kindness, which is a translation of the Greek word chrēstotēs. Chrēstotēs means "tender concern, benignity, uprightness." There are five dictionary definitions for "kind" that boil down to being gentle, helpful, and considerate. 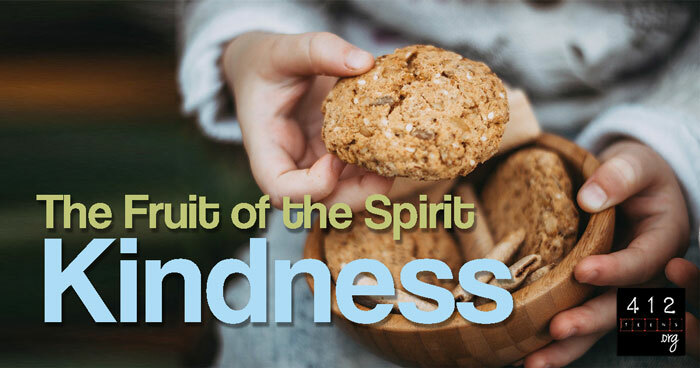 What kind of kindness is "fruit of the Spirit" kindness? Most of us have a rough idea of what kindness looks like. Kindness is sharing your chips with a friend at lunch. Kindness is walking home with them so they don’t have to be alone. Kindness is also holding them while they cry or reminding them to eat when they’re deeply depressed. Kindness is a smile, a "thank you," or a helpful hand to a stranger. Acts of kindness will cultivate the work of the Holy Spirit as you grow in your faith. All kindness, even our flawed or miscommunicated kindness, stems from the perfect example of kindness that is God. He is the ultimate template for and definition of kindness itself. Titus 3:4-5 says, "But when the goodness and loving kindness of God our Savior appeared, he saved us, not because of works done by us in righteousness, but according to his own mercy, by the washing of regeneration and renewal of the Holy Spirit." When God provided a means of redemption through Jesus Christ, He did it with a heart of kind tenderness for His sons and daughters. We didn’t need to earn His kindness because we couldn’t earn it. But God’s character is such that He saved us with an attitude of grace, mercy, and kindness—not an attitude of disgusted disappointment. You are valued unconditionally! God’s kindness doesn’t stop there though. He didn’t just throw us the bone of salvation then leave us to our own devices. He continues to restore our souls (Psalm 23:3). He continues to provide shelter for us emotionally and spiritually in good and bad times (Matthew 23:37; Psalms 17:8; Psalm 61:4; Psalm 36:7). God is the Good Shepherd who protects and comforts with unending kindness (Psalm 23). How can I show kindness to those around me? Trying to understand and imitate the God of the universe can be pretty daunting. Fortunately, we can look to Jesus Christ’s ministry in the New Testament for more feasible, easy to understand examples of showing kindness. Jesus healed the blind (Mark 10:46-52), the sick (John 4:46-54), a bleeding woman (Luke 8:43-48), and even spent the time to talk to societal outcasts about eternal life (John 4:1-45). He also had compassion on giant crowds (Mark 6:34), redirecting His plans to spend time with them. While we may not have the capacity to perform miracles, we can see the heart in Jesus’ actions and seek to imitate Him in our relationships. At the core of Jesus’ kindness was a desire to reinforce the inherent dignity and value of all mankind. How can your words and actions show kindness, respect dignity, and remind others of their value in God's eyes and in your heart? Bring soup for sick friends. Encourage those who are downtrodden. Treat all people—even the outcasts—with dignity and respect. There are many ways to show kindness to those around us. Unfortunately, the Christian community hasn’t always provided a lot of clear guidance separating healthy and unhealthy definitions of godly kindness. There are people who may take advantage of our kindnesses, and to those, we must say "no." Being kind doesn't mean you're a pushover who will do whatever anyone asks. Being kind isn't something others should force you into. Being manipulated into acts of kindness is not okay. Sometimes people may try to pressure you into agreeing to things you're not comfortable with. Maybe it’s a friend who asks to copy off your homework. Maybe it's coworker who constantly asks you to cover their shift at work without ever reciprocating. Maybe it's a sibling who's asking you to lie to keep them out of trouble. Are you required to always say "yes" in order to be kind? NO. Any acts of kindness you perform should be done with a genuine "yes" in your heart, not just from your mouth. Matthew 5:37 says, "Let what you say be simply, ‘Yes’ or ‘No’; anything more than this comes from evil." You don't have to commit to something that you cannot or should not do. Just say "no." The word "no" can serve to protect the integrity of a kindness that imitates Christ. Even Christ said "no" to one thing in order to pursue another (Mark 1:35-39). It's okay to tell someone "no" when the timing is wrong, or you don't feel right about doing the thing. If you feel uncomfortable saying "yes," then saying "no" allows you to draw a boundary. By saying "yes" to something you don't feel right about, you reinforce the negative patterns of those who may take advantage of you. This will not only hurt you, but it'll enable the person stuck in those patterns to continue, which is not helpful for anyone. Reinforcing negative behavior is the opposite of kindness. By saying "no," you can also protect your emotional and spiritual resources from being wasted where they’re not best utilized. Being kind isn't always easy. Being kind to those who are kind to us is a no-brainer. But what about strangers or people who are outright problematic? The Bible gives us so many examples of God’s kindness to undeserving and difficult people. As Christians, we have the Holy Spirit to help us enact supernatural kindness too. If we ask for God's help, He can empower us to be kind even to those we find difficult or who are mean to us (Matthew 7:7; Luke 6:35). Of course, this isn’t easy! But with prayer and empowerment of the Spirit, we can share the heart of Christ with people who may be too difficult for others to communicate with or those who are angry because they've never felt true kindness before. Who knows? Even the simplest act of heartfelt kindness may be the one act that begins to soften someone’s hurting heart. Kindness is listed in Galatians 5:22-23 as a sign of a Christian’s growing faith. Kindness is being gentle, helpful, and considerate of others. God is the ultimate template for kindness itself (Titus 3:4-5; Psalm 23). Jesus' kindness reinforced the inherent dignity and value of those He encountered. 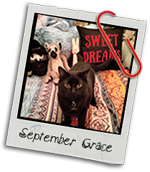 To those who may take advantage of our kindnesses, we must say "no." Being kind doesn't mean you're a pushover who will do whatever anyone asks. Even Jesus set boundaries to stop negative behavior in its tracks (John 6:25-59). If your heart cannot genuinely say "yes" to someone, then just say "no" (Matthew 5:37). But when you can say "yes," you will cultivate the work of the Holy Spirit as you grow in your faith.